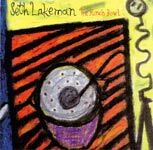 All tracks written and arranged by Seth Lakeman. I listen to it all the time and always enjoy it. Overall a very good album both for home and the car. I bought it purely because I had been looking foward to listening to a song featuring his singing, guitar and fiddle, but I was certainly pleasantly surprised, it was really fantastic. There are stunning performance and good variety of styles throughout the album. I particularly like "Garden of Grace" and "It's All Your World", Seth's singing is full of a youthful passion and his tenor guitar sound is very comfortable. There are a couple of the tracks where it seems Seth has gone back to his roots and they are also quite brilliant. You can order the album from Fish Records at www.fishrecords.co.uk/.